When most people think about designing their homes, they usually just think about the inside. I believe you need to extend your design to the outdoors, too. 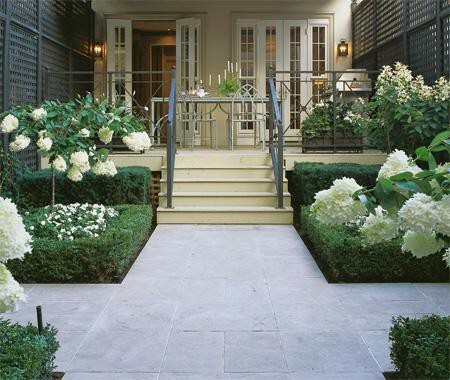 Don't forget about your patio, terrace and path in the garden. Now is the time to get things in shape so you're ready to entertain outdoors this season. 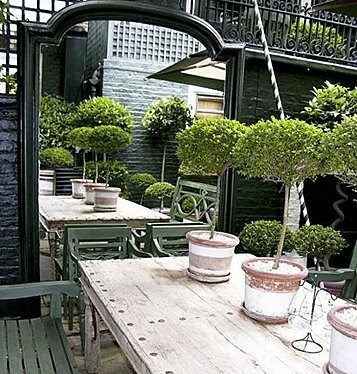 Here are just a few lovely examples on how to create a beautiful outdoor space. 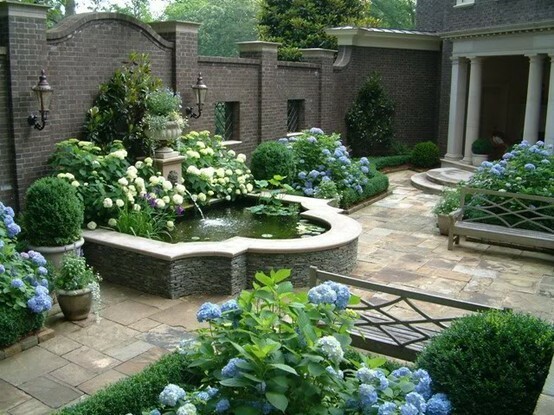 Hydrangeas add such a timeless touch to any garden. I simply adore the teak benches, stone path, brick wall and gorgeous fountain. I can hear the water trickling now. Ahhhhh. Boxwood. Doesn't get more classic than this. I have several in pots on my patios and hedges leading up to my front door. 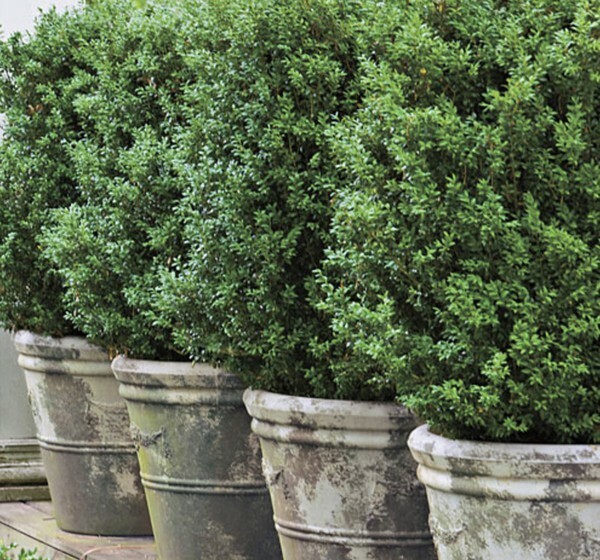 I never tire of boxwood. Once of the easiest ways to freshen up your space. One of my favorite gardens. See the boxwood hedges outlining each bed? Fabulous! Anyone have an outdoor fireplace? I'm dreaming of one! What a cozy spot to entertain. Love how a simple large mirror can create drama in the garden. Brilliant idea. A spot in the shade sounds perfect on a hot summer day. 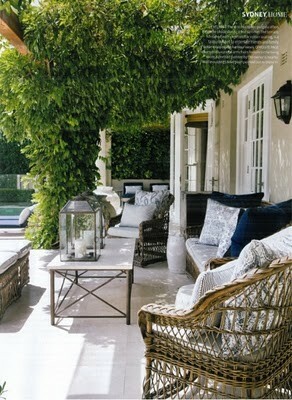 Be sure to include pretty pillows and lanterns to create a place that is inviting. I could hang out here all day long! 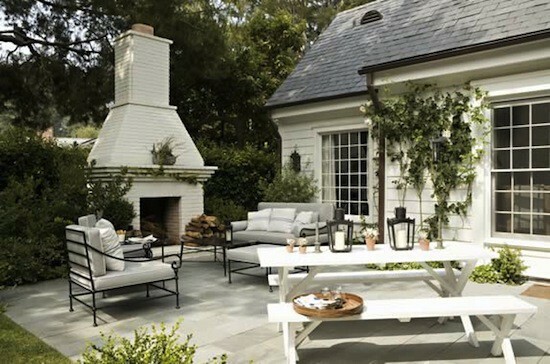 Finally, this outdoor space is perfect for entertaining! 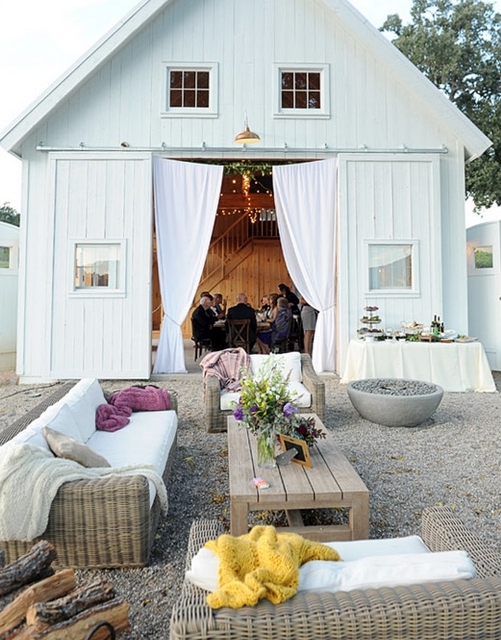 I'm sure the guests dining in the barn enjoyed it before going in to eat. Love it! What do you do to make your outdoor space special?